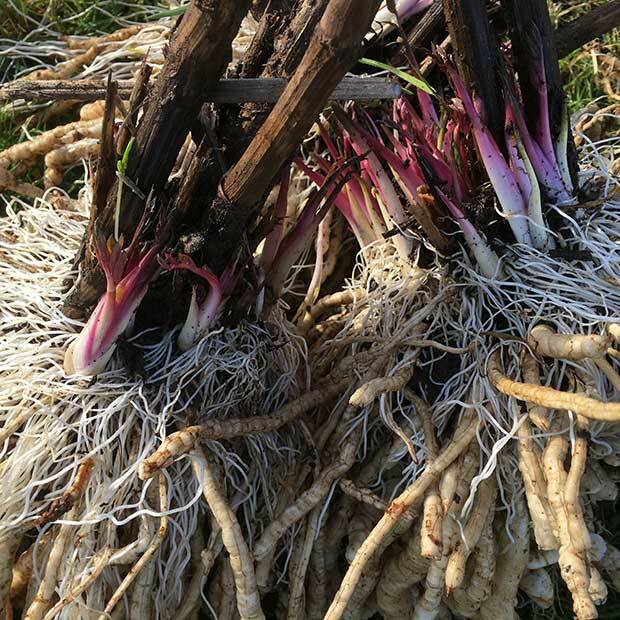 *BACK IN STOCK APRIL 2019* Skirret, a hardy perennial root vegetable that produces a cluster of sweet tasting parsnip type roots, easy to grow. 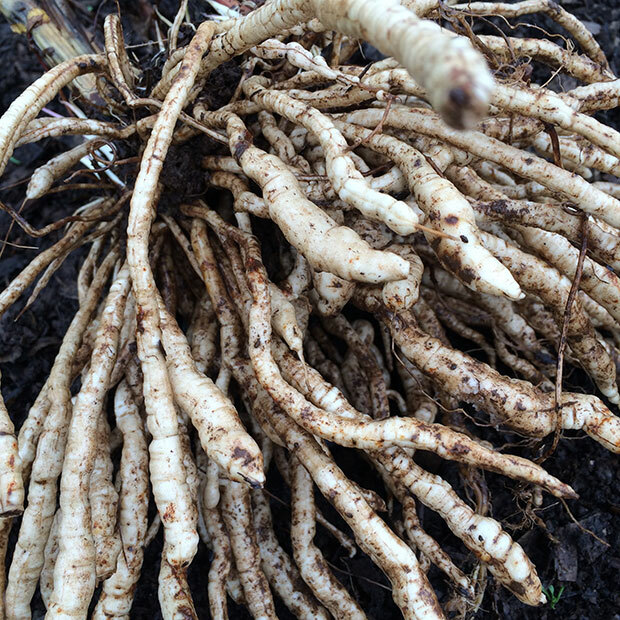 Skirret offsets are growing shoots with white delicate roots that have been divided from a mature plant. 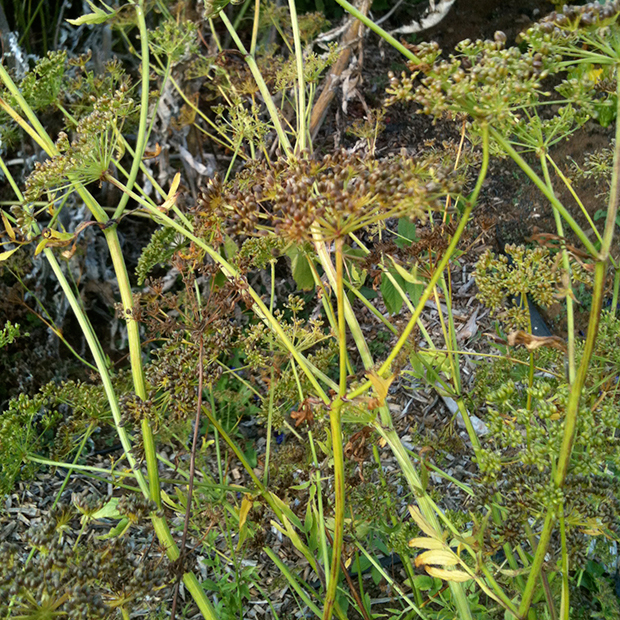 Offsets naturally form and multiply at the top of a skirret plant. They are a quick and easy way to propagate as each offset produces a new plant and is a much faster method than growing skirret from seed. Simply pop into a pot of compost and allow to develop before planting out. Price is for a pack of 3 offsets. Other images show the full clump of roots from 2 and 3 year old plants that have been harvested. Our skirrets were featured on BBC Two’s Gardeners’ world with Monty Don planting out some of our plants in his Tudor vegetable garden. 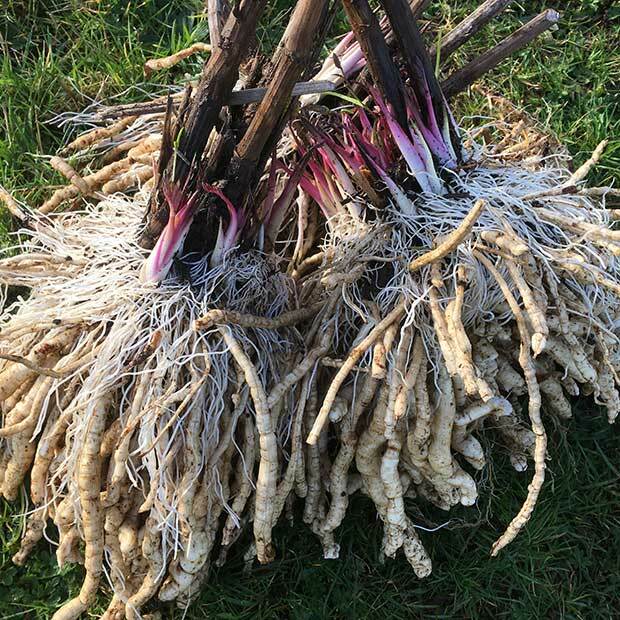 Skirret, latin name Sium Sisarum is a hardy perennial root vegetable part of the family Apiaceae, that produces a cluster of sweet tasting slender roots. Skirrets date back centuries, pre-dating the potato, and were one of the main root crops eaten across Europe before potatoes were introduced. They fell out of favour because potatoes were easier to prepare, not because of the taste. Skirrets actually taste somewhere between a Parsnip and a Carrot with a hint of pepper. In the 16th and 17th century they were used in sweet & savoury dishes and such things as ‘Skirret Pye’. 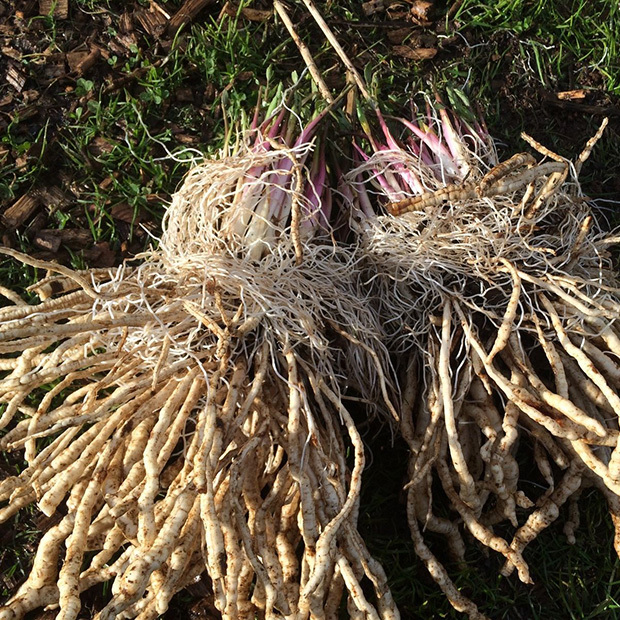 Skirret offsets are growing tips with a small amount of white delicate roots which have been divided from a mature skirret plant. 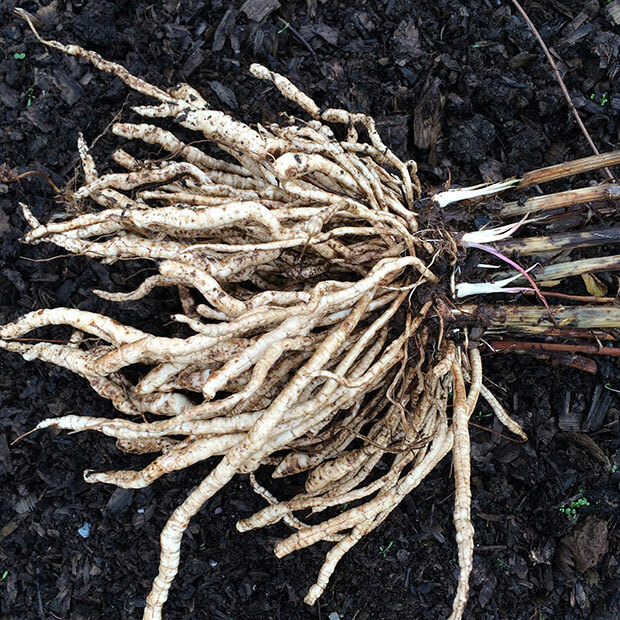 The offsets naturally cluster around the top of a skirret plant and provide a very fast and easy way of propagating as each one will form a new plant. Offsets give you a head start in setting up your own perennial skirret patch and they mature much faster than growing skirret from seed. 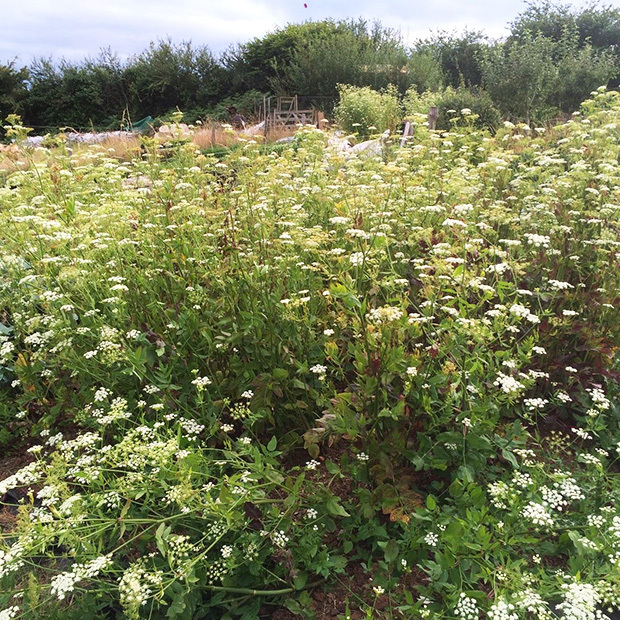 They are a great substitute for annual parsnips without having to sow seed every year. When your skirret offsets arrive you need to pop them into pots of compost and let them develop for a little while before planting them out in their final position. They do much better being started off in pots, rather than planting an offset direct. Once they have a bit of foliage, plant in a sunny position leaving about 30cm between plants. 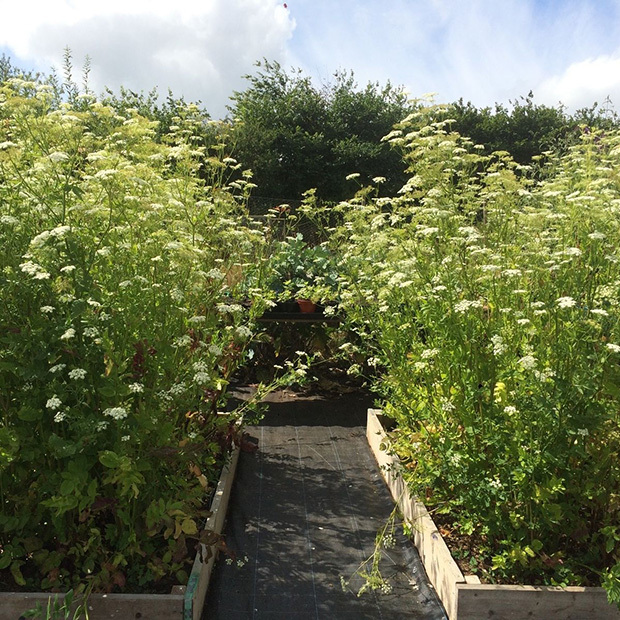 Over the summer the plants will reach about 4-6ft tall producing umbels of lacy white flowers. 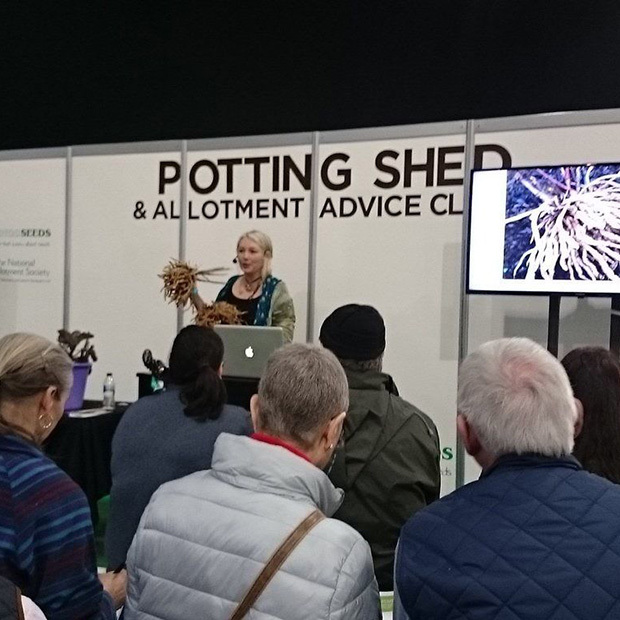 In the Autumn the foliage dies back and you can check to see what the roots are doing and harvest some for eating and divide the rest to make new plants. 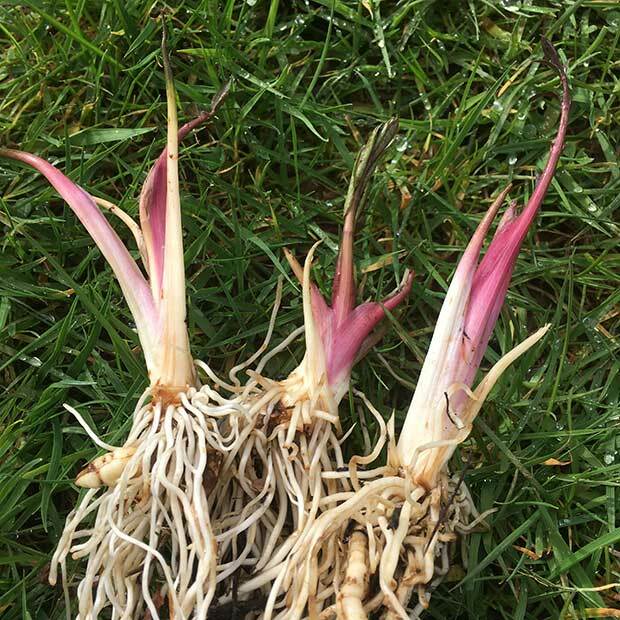 Choose large straight roots without a woody core for your propagation material. 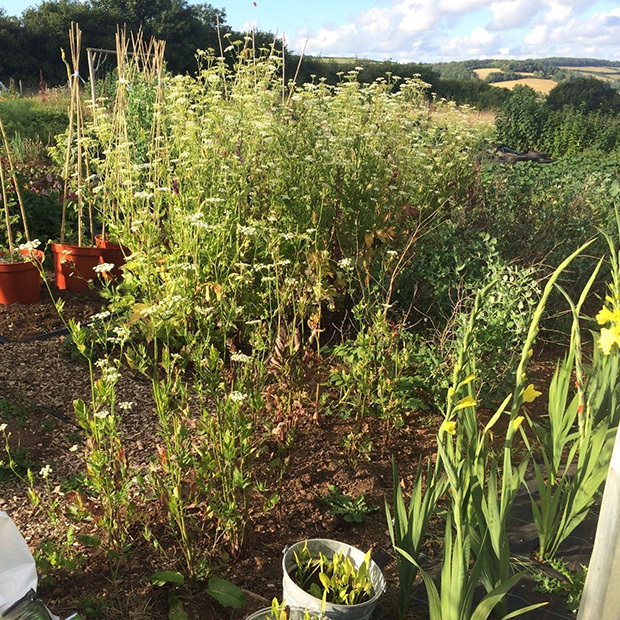 Once your plants are established, you can also pinch off further offsets in the spring ( these are growing shoots with a little bit of root attached) to make new plants, skirret will self seed as well. 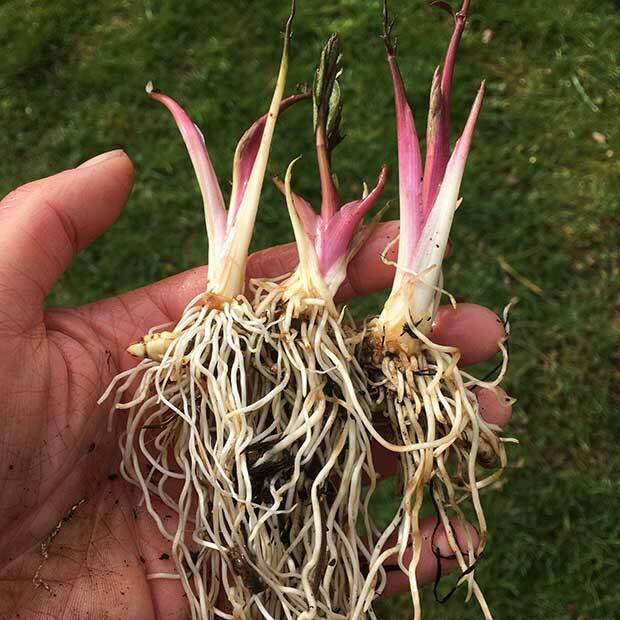 Once you have a colony growing it is worth experimenting by leaving some plants to grow for 2 to 3 years before harvesting/dividing to develop better sized eating roots.